J League is our “fun-competitive” league format for Boys and Girls in P4 to S1. Skills Practice (based on the themes below) followed by a structured weekly programme of matches. In June 2017 we moved to a monthly membership structure. This was primarily to allow us to remove the upfront joining fee attached to taking part in our sessions (for the cost of kit) with the aim of making our programme more accessible and affordable, without impacting sustainability. Sessions are delivered 40 weeks of the year, starting week commencing 14th August 2017 and running until week commencing 25th June 2018. Second family member = half price! The J League Season will culminate with a spectacular Finals Day event which is not to be missed for any young football fan/player. We are currently prioritising new application from existing members as places are limited. General applications will open on 7th July 2017 but in the meantime you can complete and return an application pack and standing order form and we will process these from 7th July onwards. 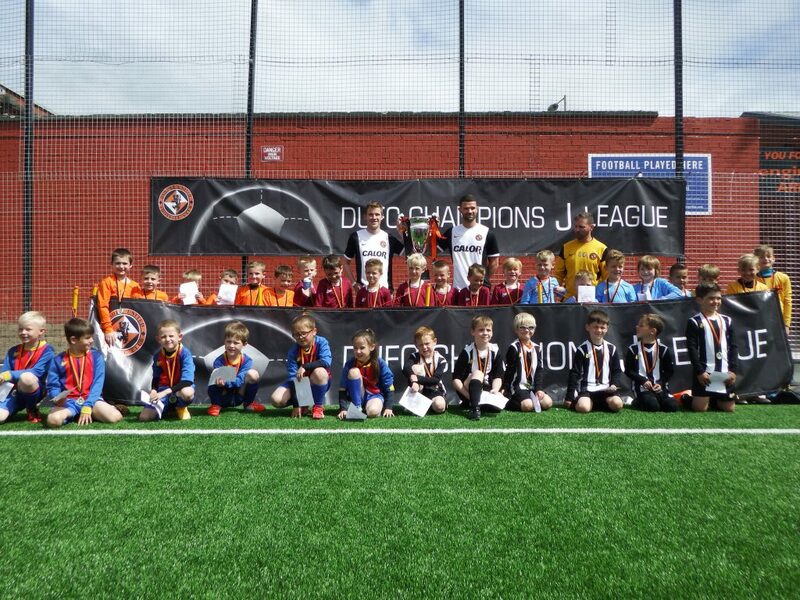 To book your place at one of these sessions, please complete our Application Formand Standing Order Form and return both to enquiries@dundeeunitedct.co.uk as soon as possible.